The Communion Veil: Hell is Real...I've Seen It. Hell is Real...I've Seen It. Hell IS real. I have seen it. 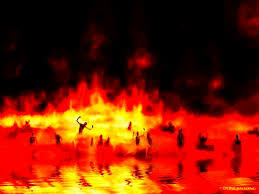 I wasn't expecting to see hell that day, I was just going to Holy Mass as normal. 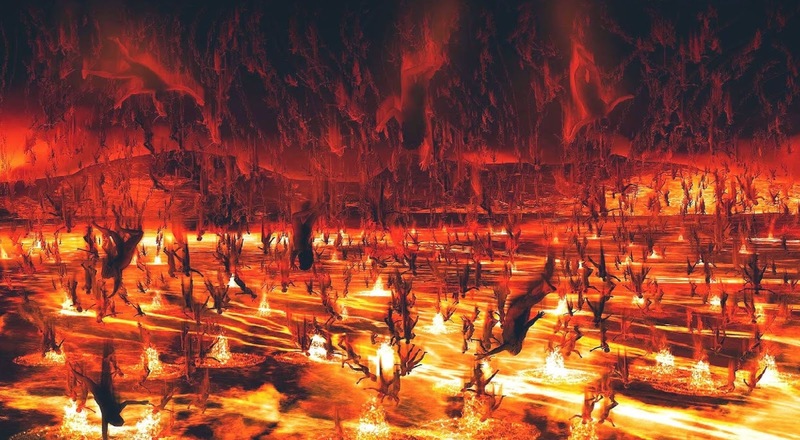 When I went to the cup to drink the blood of Christ, after I had drank, I looked in the cup before handing it back and in the blood of our Lord, I saw hell. 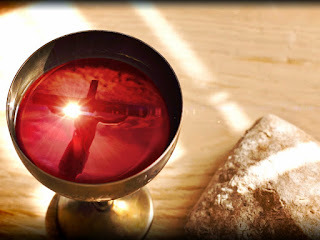 Looking in the cup, the Holy Blood of our Lord was fire and there were burning souls as they writhed and screamed in the fire. Yes. I saw souls in hell. This lasted maybe 2-3 seconds. I didn't understand this at first. I couldn't figure out why I saw hell in the blood of our Lord. I'm sure the Eucharistic Minister wondered why my eyes where so big when I handed the cup back to her. Praying over this for the next days, I think God showed me what I had seen. The Holy Eucharist, in either form, but for what I saw, in the Holy Blood of Christ is the greatest expression of love of Christ to the Earth. It IS the source and summit of our faith. The greatest love poured out by a Holy God was a source of the greatest suffering to those who had rejected that love by their own free will. How much worse will out suffering be, if we as Catholics take what is holy in a state of grave sin? Labels: blood of Christ, blood of Jesus, confession, Eucharist, Hell, Hell fire, Holy Communion, Holy Mass, Jesus, Mortal sin.